Maximum Rate of Fire 750 r.p.m. Variants 43M was designed with a new folding metal stock and other modifications including a new magazine and shorter barrel. Notes The 39M was the main sub-machine gun used by the Hungarian army. It was reliable even in a Russian winter and well received by the troops. 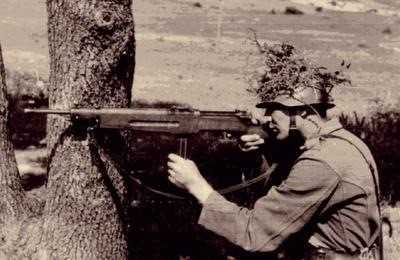 It was large weapon for a SMG and attempts were made to add a hinge in an attempt to be able to fold the wooden stock so it could be supplied to tank crews, but these were only made in very small numbers. The 43M was introduced with a metal folding stock, pistol grip and shorter barrel.